The course is designed for Adults 30-55 and will be held over three sessions of four hours each. 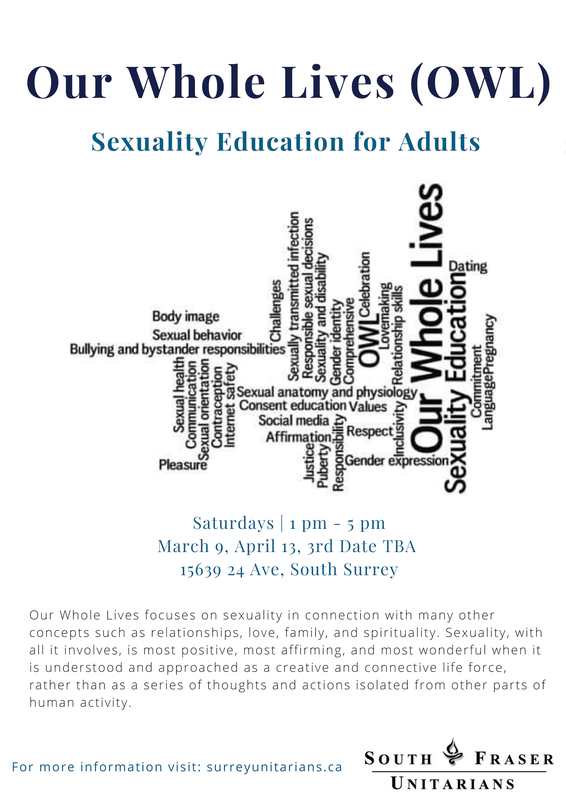 Our Whole Lives focuses on sexuality in connection with many other concepts such as relationships, love, family, and spirituality. Sexuality, with all it involves, is most positive, most affirming, and most wonderful when it is understood and approached as a creative and connective life force, rather than as a series of thoughts and actions isolated from other parts of human activity. Starting Saturday, March 9 from 1 – 5 pm. Check out our calendar for more details! Click here for more information about the Our Whole Lives (OWL) program.